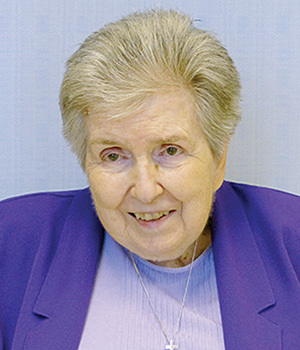 Word has been received of the death of Sister Mary Therese Coursey, CSC, who died at 12:00 a.m. on September 24, 2018, in Saint Mary’s Convent, Notre Dame, Indiana. She entered the Sisters of the Holy Cross from Brooklyn, New York. 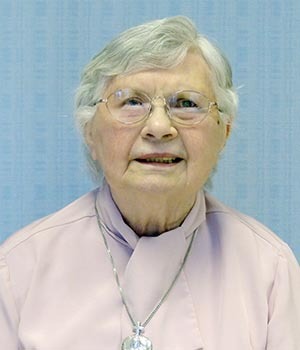 Her initial profession of vows was made on August 15, 1954. 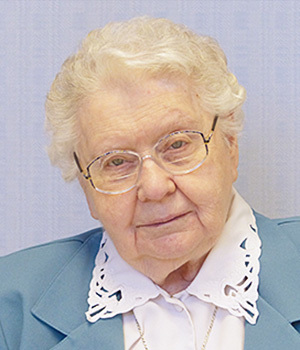 Having lived and ministered on three continents, Sister Mary Therese crossed one last border at midnight, when one day ends and another begins. 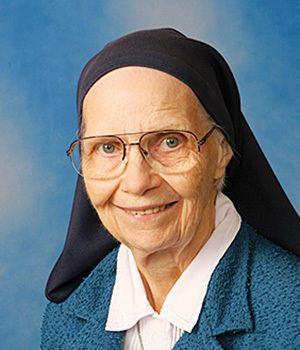 She died at Saint Mary’s Convent, Notre Dame, Indiana, on September 24 and began eternal life several hours before first dawn. 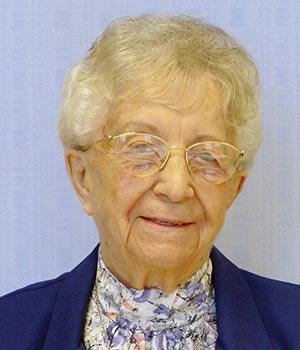 The native of Brooklyn, New York, had lived a full life of 85 years, 67 of them in the Congregation of the Sisters of the Holy Cross, as an educator and musician with a strong sense of mission at home and abroad. As was common in the convent prior to the Second Vatican Council, a novice often received the name of one or both parents, if possible. Such was the case when she received the name Sister M. James Therese upon reception of the holy habit, August 1952. Her father was James Patrick Coursey and her mother was Nora Therese O’Toole. Many a religious vocation has been nourished and supported within the family. She returned to her baptismal name in 1983, still honoring her mother and retaining her patroness, St. Therese of Lisieux. 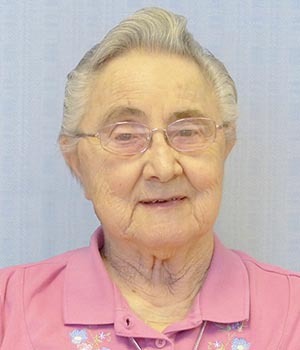 As Sister James Therese, her first 11 years of ministry in Catholic elementary education began in 1954 at schools in Texas, Washington, D.C., Virginia and New York. Sister applied to go overseas and, after a period of preparation, was assigned in 1966 to Bottomley Home Orphanage in Tejgaon, East Pakistan, now known as Bangladesh. She taught English to the children up through junior high level. 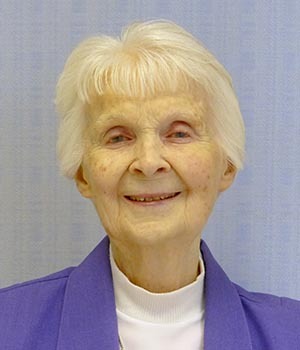 After earning her Master of Arts in Religious Education from Providence College, Providence, Rhode Island, Sister trained catechists and teachers in the villages and was supervisor of schools in Jalchatra and Tangail, Bangladesh, from 1972 to 1982. She was very proud of having received a certification in the Bengali language and studied the tabla drum for almost three years, music being an avocation since her youth. 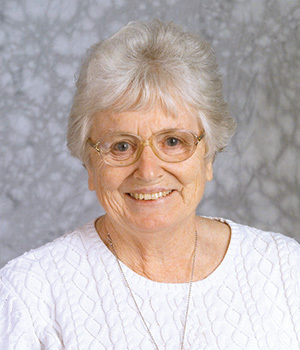 From 1987 to 1990, Sister helped prepare aspirants to enter Holy Cross. Sister served 22 years in Bangladesh and three more in Ghana, West Africa (1983-1986), as coordinator of religious education for the Sekondi-Takoradi Diocese. 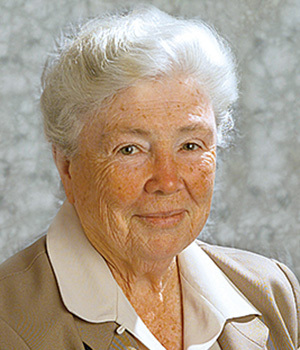 She returned stateside and to elementary education in Huntington Township, Long Island, New York (1991-2005), until she retired to the motherhouse in 2006. Reflecting on her years in Asia and Africa, Sister wrote that education was “our greatest contribution” wherever there was illiteracy and it was her desire “to share in the struggle of the people to overcome it by being a teacher or training teachers.” At times, she added, “Our fingers were in too many pies,” and she regretted how difficult it was to plan when dealing with immediate needs.